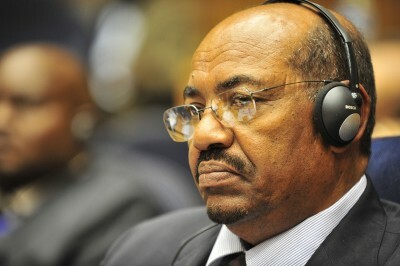 What just happened in Sudan was likely a military coup despite the “official” explanation being that President Bashir simply stepped down, and while this might appear on the surface to be a huge development, its immediate consequences will probably be quite limited even though certain “dark scenarios” still can’t be ruled out. As a brief review, while it’s indeed possible that the incipient Color Revolution that broke out in the country in late-2018 could be exploited by outside forces for geopolitical ends such as catalyzing the diverse state’s further “Balkanization”, the unrest itself appeared to be a mostly spontaneous reaction by a desperate population already fed up with their deteriorating socio-economic conditions following a surprise increase in the price of bread and fuel, albeit one that domestic political activists probably prepared in advance to organize in response to a “trigger” event such as that one. This ended up putting enormous pressure on the government and led to President Bashir implementing a state of emergency that portended the beginning of a “phased leadership transition” by his permanent military, intelligence, and diplomatic bureaucracies (“deep state”). That plan recently went awry, however, when divisions began to emerge in his “deep state” following the military’s active intervention earlier this week to prevent riot police from clearing out a camp of protesters outside the Ministry of Defense. The “African Spring” of non-electoral regime changes might suddenly spread to other countries on the continent such as Cameroon and Uganda after surprisingly succeeding in two of its most security-prone and rigid states that many observers had previously thought would never respond to “grassroots”-initiated pressure. The “phased leadership transition” evidently failed in Sudan for reasons that can only be speculated upon at this time but probably has to do with behind-the-scenes politicking that ultimately divided its “deep state” and reached a climax when the military intervened to prevent the riot police from breaking up the protesters’ camp. Unlike in Algeria, the odds of a “second round” of protester-driven unrest agitating for the dismantlement of the entire “deep state” are low in Sudan for reasons pertaining to this Northeast African country’s specific domestic political and military situations. The military will steer the country towards forthcoming elections in which it will probably field its preferred candidate or attempt to co-opt one of the opposition‘s like Kabila recently did in the Congo with Tshisekedi, doing whatever is needed to keep its “deep state” in power with only minimal but necessary reforms. It’s unclear at this moment whether the military will politicize the issue of Russian private military companies (PMCs) in the country, which pro-Western factions could seek to do in order to curry favor with the West, while patriotic ones would probably prefer to keep quiet about this issue in order to retain Moscow’s support. Another Russia-related issue is whether Sudan will continue to closely cooperate with Moscow in stabilizing the neighboring Central African Republic (CAR) and facilitating Russia’s access to this land-locked war-torn state, though it should be assumed that there won’t be any changes in this respect for now. On the topic of continuity, Sudan will continue to occupy an ultra-strategic position in China’s Africa policy by acting as one of its Silk Road gateways to the continent, though this could change in the unlikely event that a pro-American military faction ascends to power behind the scenes. If anything, however, Sudan is more inclined to fall further under Saudi Arabia and the UAE’s influence, and even though these two essentially function as the US’ “Lead From Behind” partners, Khartoum will likely continue its “balancing” act between them, Turkey & Qatar, Russia & China, and the US.